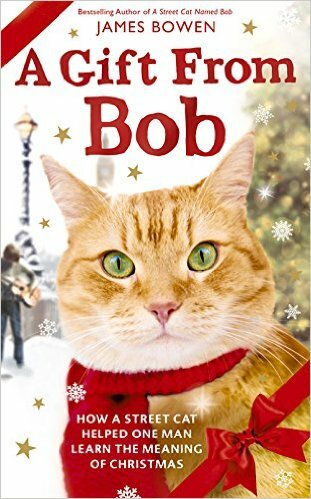 A Gift from Bob: How a Street Cat Helped One Man Learn the Meaning of Christmas, is the latest Bob the Cat book from James Bowen. A Street Cat Named Bob and The World According to Bob, along with various children's and youth versions of the story, have topped best seller lists all over the world. The first two books share the heartwarming and amazing story of how a stray cat named Bob essentially saved the life of James Bowen, who was a struggling street musician and recovering addict in London. 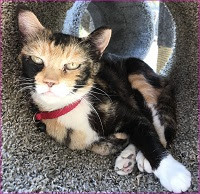 When James took Bob in, the cat helped him pull his life together, providing unconditional love and friendship. One day a book editor asked James if he would write a book about their story, and his life changed yet again. This is easily one of the most heartwarming stories I have ever read. In this latest book, James shares how Bob saw him through a particularly difficult and brutally cold Christmas, and the important life lessons he learned along the way about the true meaning of Christmas. If you read one book this Christmas season, make it this one. Their Christmas together was so simple, but so perfect all at the same time. It helps us remember what really matters at Christmas time.